The companies show great promise for customers, but the average investor is going to want to see profits before they buy in. 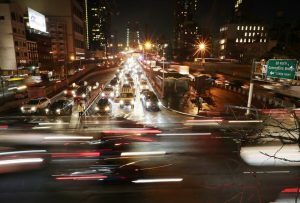 NEW YORK — Ride-hailing giants Uber and Lyft have redefined what we expect from transportation, hooking customers on the immediacy of on-demand rides with a few clicks on a smartphone. But whether the companies can turn their popularity into profits is a question investors are asking as both companies prepare to offer shares to the public. Lyft will give investors their first in on the ride-hailing phenomenon when the company’s stock begins trading on the Nasdaq, with Uber right on its heels. But while both companies are growing fast, they are losing money just as quickly and face significant challenges to profitability. Last quarter, Uber lost $865 million while Lyft lost $249 million. Their intense competition puts pressure on prices in a market where riders can easily switch between apps to find the best fare. Complaints by drivers over wages could put pressure on Lyft and Uber to bump their pay. And both companies are hinging future profitability on the development of autonomous vehicles, which would lower driver expenses but could take many years to reach mass adoption. Unprofitable tech IPOs have been common in the past six years, and the percentage of money-losing tech companies heading into the public markets is rivaling 2000, when the dot-com bubble burst, according to data from Jay Ritter, finance professor at the University of Florida. The main difference between now and 2000 is that the startups in the current crop are more mature, with many of them having been around for a decade or more with substantial sales, Ritter said. Digital scrapbooking company Pinterest, which lost $63 million last year, recently announced plans to list its stock on the New York Stock Exchange. Also waiting in the wings are Airbnb, the short-term rental company; Slack, the messaging app and Zoom, the video conferencing company. Lyft’s IPO is proving popular with early investors. Its financial filing earlier this month highlighted the company’s impressive growth. Revenue tripled from $343.3 million in 2016 to $1.1 billion in 2017, and then doubled to $2.2 billion in 2018. Revenue per ride also increased, which some analysts saw as a positive sign that the company is getting costs under control. “The ride sharing industry story is growth, and that’s the biggest value to existing and potential investors, frankly,” said Alejandro Ortiz, research analyst at SharesPost. Lyft has been focused on core markets in North America, and has stuck to its mission of providing alternatives to car ownership, offering bike-sharing and scooter-sharing services in addition to ride-hailing. Uber has branched out, expanding into food and freight delivery and experimenting with services from a short-lived peer-to-peer helicopter service to Uber Boat. It also has a greater international presence for its ride-hailing business than Lyft, although Uber has exited some markets, often selling operations to a competitor in exchange for a piece of the remaining company. Both companies are investing in autonomous vehicle technology. Lyft has been working with Aptiv to deploy a fleet of autonomous vehicles in Las Vegas, and facilitated 35,000 rides in autonomous vehicles with a safety driver since January, 2018. Uber’s autonomous vehicle testing was suspended after one of its self-driving vehicles killed a pedestrian while a backup driver was in the car. Uber resumed testing in Pittsburgh in December. At the same time, the companies face stiff competition from General Motors and Google spinoff Waymo, which have been working in the space longer than Uber and Lyft. “It may be difficult for these guys to catch up,” said Ali Mogharabi, senior equity analyst at Morningstar Research. Meanwhile drivers, who will represent a significant cost to Uber and Lyft, are already feeling squeezed by wages. Uber recently cut drivers’ share of trip revenues, said James Hicks, an Uber driver who helped organize a driver strike in Los Angeles. Uber and Lyft have been providing rides at below-cost for years in the race to gain market share and compete with traditional taxi companies. That doesn’t mean Lyft and Uber are necessarily doomed for failure. Other unprofitable companies, particularly in the technology industry, have pulled off high-profile IPOs in the past and still seen their stocks perform well — as long as other key measures of success such as revenue and customer growth are rising at an impressive clip. Amazon took more than four years from its IPO to turn its first quarterly profit as CEO Jeff Bezos emphasized low prices and free shipping to get shoppers hooked on the e-commerce service. It now has a market value of nearly $900 billion, vying with Microsoft and Apple for the highest in the U.S.
Short messaging service Twitter went public in 2013, even though it had an uninterrupted history of losses and remained mired in red ink for several more years after that. The company has since become profitable through cost cutting and realizing other revenue streams, but its stock price is far below its peak levels. Snap, the parent company of social networking platform Snapchat, went public in 2017 and still hasn’t turned a profit while struggling to attract more users in a pattern similar to Twitter. Its stock is now hovering around $11, a sharp drop from its IPO price of $17. On the opposite end of the tech spectrum are Google and Facebook. Both waited to launch their IPOs until they were highly profitable, and have rewarded their long-term shareholders handsomely.